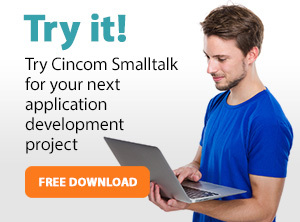 Cincom® VisualWorks® has been described by some as the closest thing to a domain specific language (DSL). A DSL allows you to think about, discuss, and solve problems in terms that make the problem easier for a person to discuss and solve. Back that up with a proven core class library, the ability to run almost anywhere, and connect to almost anything, and you have a problem solving tool that many like to keep a proprietary secret. Do you need to support a mixed bag of clients – Windows, Linux, and OS X? if so, you want VisualWorks. Build your application on any platform, and deploy to all of them – all the while, taking advantage of the scalable storage available from Amazon. To learn more about VisualWorks, click here. To learn more about leveraging the power of today’s multi-core CPUs with VisualWorks, click here. To see an example of VisualWorks in the communication field, click here.